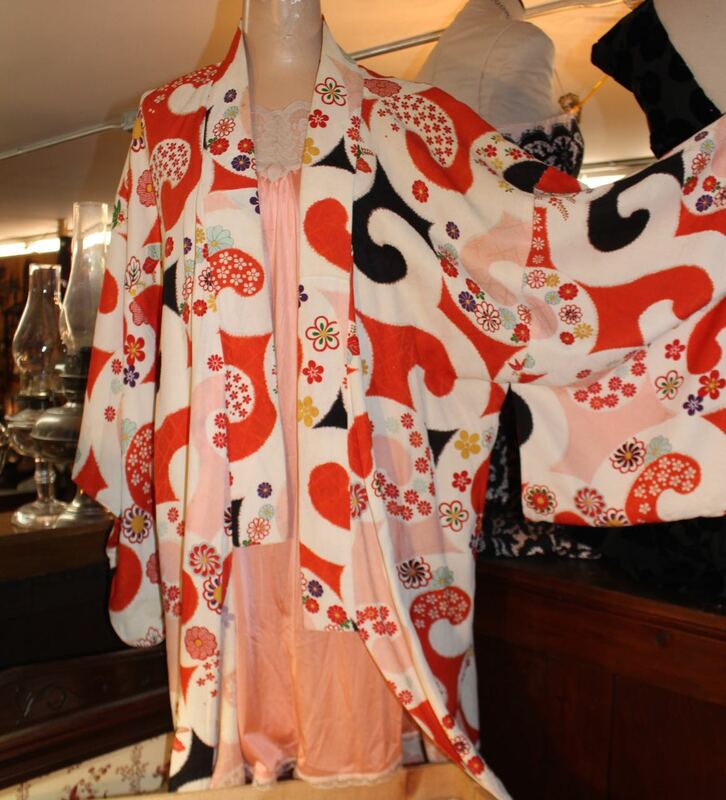 This kimono is from the 1920s. Fully lined with vibrant orange flowers. Excellent condition.